Tarrant County’s roots lie in the ‘Old West’ and much of our heritage can be traced to the era of the cowboy and the cattle drives that passed through Tarrant County. Tarrant County is one of 254 counties in Texas which were originally set up by the State to serve as decentralized administrative divisions providing state services and collecting state taxes. Tarrant County, one of 26 counties created out of the Peters Colony, was established in 1849. It was named for General Edward H. Tarrant, commander of militia forces of the Republic of Texas at the Battle of Village Creek in 1841. The village of Grapevine; the Texas Ranger outpost of Johnson’s Station (in what is now south Arlington); and Bird’s Fort, a short-lived private fort just south of present-day Euless, were early areas of western civilization in the region. On the bluff where the Tarrant County Courthouse now stands, a military post was established in 1849 by a company of the 2nd U.S. Dragoons under the command of Major Ripley A. Arnold. 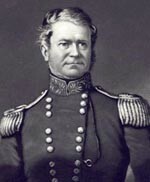 The fort was named in honor of General William Jenkins Worth, a hero of the Mexican War and commander of United States forces in this region. The first county seat election was held in 1851 and the location receiving the most votes, a few miles to the northeast, became Tarrant County’s first county seat, designated Birdville as required by the statute creating the county. After the military post closed in 1853 and the little towns of Fort Worth and Birdville grew, a fierce competition sprang up between them to be the seat of county government. A second special county seat election was held in 1856, when Fort Worth edged out Birdville by only a handful of votes. Fights and fatal duels ensued over the next four years by supporters of both locations. Finally, in 1860, another special election was held. This time, Fort Worth, by now the larger town, received 548 votes. The geographical center of the county, a compromise location, garnered 301 votes. Birdville tallied only four. From as early as 1856, regular stagecoach service passed through Tarrant County, carrying mail and passengers from the east on to the frontier forts and the West Coast. By the 1870’s, mail stagecoaches arrived and departed from downtown Fort Worth six days a week. From the close of the Civil War and through the late 1870’s, millions of cattle were driven up the trail through Tarrant County (roughly following Interstate 35 West) to the railheads in Kansas. After the Texas & Pacific Railroad reached Tarrant County and Fort Worth in 1876, Fort Worth became the largest stagecoach terminus in the Southwest – a hub for rail passengers to continue their journeys west by stagecoach. 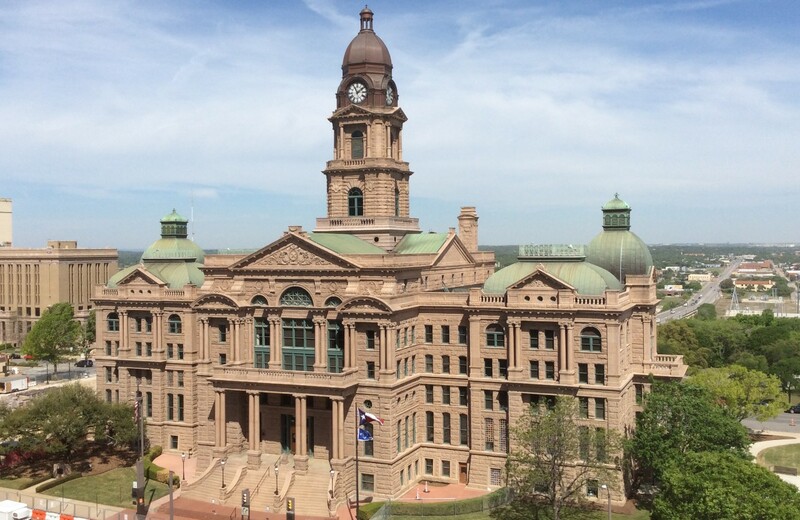 The Tarrant County Courthouse, completed in 1895, is fashioned of pink granite from central Texas and took over two years to build. Upon completion, even though the project had come in almost 20% under budget, the citizens of the county were so outraged by the perceived extravagance that, at the next election, the County Judge and the entire Commissioners Court were voted out of office. Today, Tarrant County has a population of over 1.8 million, more than 2,700 times larger than in 1850, when its inhabitants numbered only 664. For more information on Tarrant County history, please visit the Tarrant County Historical Commission page or contact the Tarrant County Archivist.